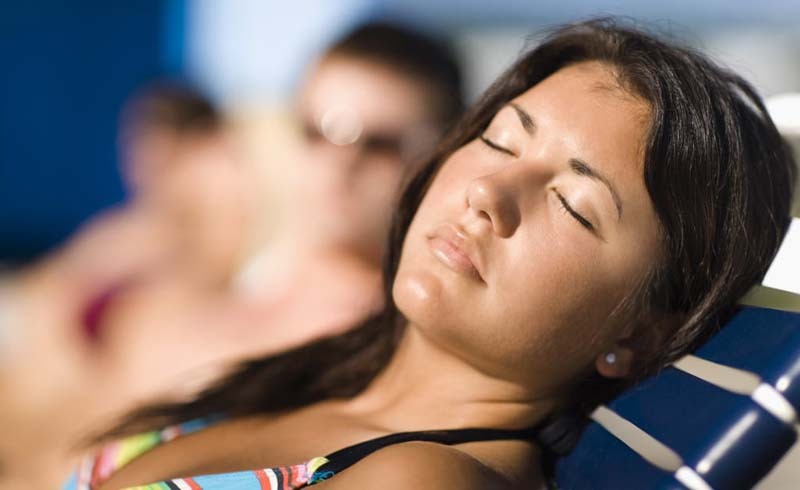 You want to relax and enjoy yourself during a vacation, but that can sometimes include unhealthy behavior. From calorie overload to extralazy days, it can be difficult to maintain a fitness routine while you're away. Planning to travel sometime this season? 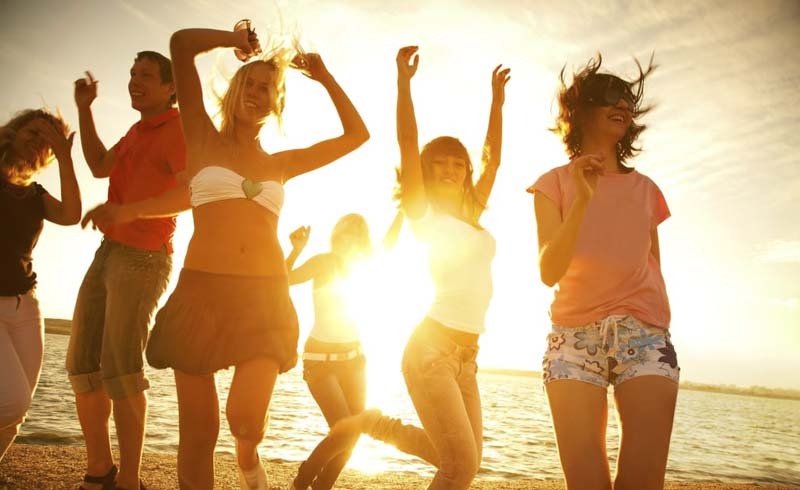 Think ahead and avoid these common Spring break mistakes to have a healthy, stress-free trip. Before a big vacation, it's normal to be a bit more conscious of your food intake, but steer clear of any crash diets. Not only will you be exhausted come departure day, but you'll also be more likely to overindulge during the trip. Even worse? When you're back to the normal routine postbreak, those pounds will creep back quickly — and then some — as your metabolism tries to adjust. A better idea: learn how to lose a pound a week, since going about weight loss the right way gives you a better chance of keeping it off for good. You want a glow to show off when you return, so you skip the SPF and choose tanning oil instead — not a good idea. Keep your skin healthy and avoid a painful sunburn by learning which SPF is right for you and investing in a lotion you'll wear. Buy a variety of bottles, everything from a face-focused sunscreen to one that's made for sport performance, then remember to reapply after a couple hours. You may wish calories didn't count on vacation, but the fact is, they do. That burger and fries may sound like the perfect poolside meal, but do your body a favor and nourish it with vitamin-rich foods that will provide enough energy to get you through all the extra vacation excitement. Dodge any possible excuses by packing plenty of exercise gear to get you through your trip. By sticking to your regular workout routine, you'll maintain the progress you've already made and feel better about any unhealthy choices that you make throughout the trip. It may be five o'clock somewhere, but that doesn't mean you should indulge in more than a few margaritas. Have fun and cut yourself a little slack, but practice moderation so that you don't have to deal with any morning-after guilt — or even worse, have to waste the next day in bed. If you're traveling to a new spot, chances are you'll be eager to get out and explore. Still, it's smart to educate yourself on the area by talking to the hotel concierge or doing a bit of research beforehand. Keep safety in mind and avoid wandering off alone unless you're sure that it's a secure area. Love to hike? Learn which trails are monitored, or consider a guided tour instead. Spending the day in your bikini may leave you tempted to skip meals, but don't go there. For one thing, it's a vacation, so you should be enjoying yourself — and the local fare. Plus, going hungry is sure to put you in a bad mood, and you deserve to have a sunny outlook while you're away. Just because there's a room service menu, that doesn't mean you should be ordering full spreads around the clock. Treat yourself to some breakfast in bed, of course, but don't use it as an excuse to indulge in a fourth (or fifth) meal. Superlate nights can be a blast, but aim for a bit of balance while you're away. Try to get a solid eight hours each night so that you have plenty of energy to do everything you planned throughout the day. Besides, a lack of shuteye means you're more likely to get sick by the time you get home, and you shouldn't need a vacation from your vacation.